Music exams are a method of formally assessing the accomplishments of students, and provides valuable feedback to the student, parents, and teacher. Music recitals are a wonderful way for family and friends to share, nurture and evaluate a student’s performance and progress in a positive and supportive atmosphere. Competitions are a great way to motivate students of all ages and levels, and give them a series of realistic goals and tangible rewards for their achievements. The Royal Conservatory of Music (RCM) is a well respected program is designed to both motivate students and challenge them at each grade level. We strongly encourage parents to give serious consideration to following the RCM study program due to it’s comprehensive materials and high performance standard. 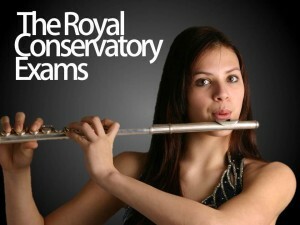 The RCM exams take place four times during the year: January, April, June and August. Performing in front of an audience is a very important aspect of the learning process, and recitals are a wonderful place to practice and perfect that very skill. All students will be invited to participate in our annual recital in June. 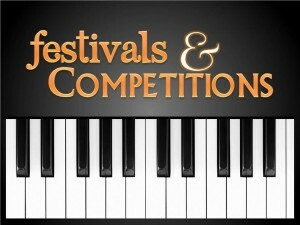 The recital serves many purposes – it motivates students to “polish” their songs to the highest level; opens their ears to a wide variety of instruments and styles; exposes them to other students of similar age and skill; teaches them stage presence and concert etiquette; and most important of all- makes mom and dad proud! Peel Music Festival: The Peel Music Festival is one of the longest-running and largest independent teacher-run competitive music festivals in Canada. Rotary Burlington Music Festival: This is a great opportunity for student to share their music and dramatic skills in a competitive but nurturing environment. Kiwanis Music Festival: The Festival encourages young people to know and love the arts and fosters the values of self-discipline, teamwork and excellence.